Freddie L. Thomas, 65, of Junction City, KS, passed away on Friday, March 29, 2019 at Stormont-Vail Healthcare in Topeka, KS. A memorial service will be 11:00 a.m. Wednesday, April 10, 2019, at the Ward Chapel AME Church 1711 N. Jefferson Street in Junction City with Pastor Andrew Rollins officiating. A graveside service will follow the service at 1:00 p.m. at the Kansas Veterans' Cemetery near Manhattan, KS.with full military honors. 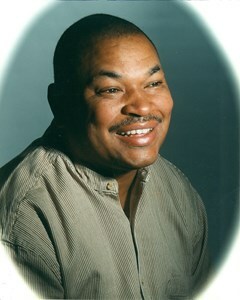 Memorial contributions are suggested to be given to the Ward AME Church. Freddie was born August 6, 1953, in Buena Vista, GA the son of Fletcher Lee and Lilly Thomas Clayton. Freddie joined the United States Army June 29, 1979. He retired April 1, 1993 at the rank of E-7.After his retirement, he worked at Fort Riley doing maintenance. He also worked for Conagra Foods in Junction City. He was a member of Ward AME Church where he served as an usher for many years. Freddie enjoyed watching sports. He enjoyed having people stop by the house and was always a warm and welcoming host. Freddie married Loretta Suttle February 15, 1985 in Hinesville, GA. Survivors include his wife Loretta of the home in Junction City; two sons, Freddie L. Thomas, Jr of Memphis, TN and Mario Suttle of Shreveport, LA; two brothers, Daniel Day and Billy Clayton Both of Buena Vista, GA.; three sisters, Geraldine Pryor of Lancaster, CA, Mrya Henderson of Atlanta, GA and Wanda Golden of Buena Vista, GA; six grandchildren. Freddie was preceded in death by his parents and one brother, Jimmy Sapp. Add your memories to the guest book of Freddie Thomas. Praying that the family will soon find comfort. My sincere condolences to you all.